Shopping for a different kind of vinyl floor? Armstrong’s new luxury vinyl floors may be just what you’re looking for! Alterna is the luxury vinyl tile that looks like ceramic tile or stone, while Luxe Plank luxury vinyl (a “Best New Home Product” in 2010 from This Old House magazine) looks like hardwood. 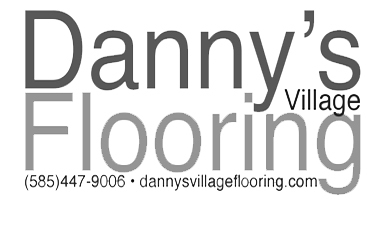 You have to see and feel these luxury vinyl floors to appreciate the difference. Alterna vinyl tile is soft and warm underfoot, and offers the most natural and realistic ceramic or stone looks you’ll find anywhere. Luxe Plank luxury vinyl floors also offer highly realistic looks – only in hardwood colors and textures. Luxe Plank even comes in authentic plank lengths and widths, with beveled edges and ends. Alterna luxury vinyl can be installed with or without grout, for a true stone or ceramic look. Consider hiring an Armstrong-certified, professional installer for Alterna since gluing and grouting is usually beyond the average DIYer. Alterna comes in the large format 16”x16” vinyl tile. If you want a luxury vinyl floor that’s DIY-friendly, take a closer look at Luxe Plank. You can install Luxe anywhere in your home, and since you install it to itself, not the subfloor, it can go over most existing flooring easily. All you have to do is peel the liner sheet and stick the plank in place. If you make a mistake, just remove the plank and re-stick it. You can keep moving the planks into different positions until the adhesive starts to set.